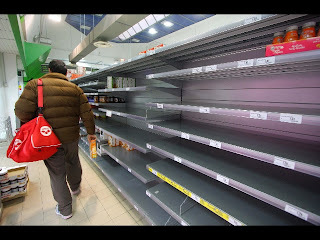 20/01/2012 - Heralded as the “Five Days of Sicily,” members of the Pitchforks Movement of farmers, and the Shock Force truck drivers’ consortium have paralyzed the Italian island, Sicily. Striking transportation workers are blocking main roads with their trucks to protest against Italy’s Prime Minister Mario Monti’s cutbacks. The drivers, belonging to the Association of Sicilian Businesses, have also been joined by farmers and fishermen. 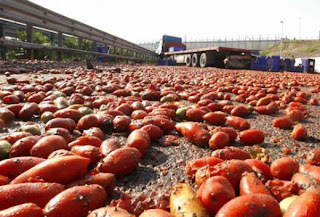 The main complaint of the protesters is the excessive rise in fuel costs. According to the organizers, the five-day strike that will last until Friday night. Long lines have formed at the few remaining gas stations with fuel on hand. 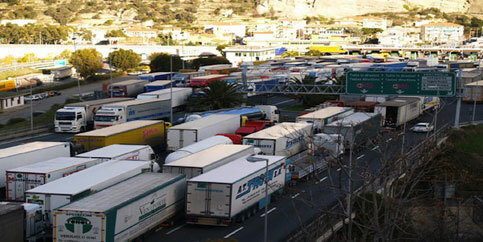 Roads, railways, and ports have been blocked in different parts of Sicily. Two ferries that were ready to set sail to Naples and Genoa, were forced to dock at the southern port city of Palermo, while some buses belonging to the Catania-Palermo line have canceled their routes, reported Italian news agency ANSA. 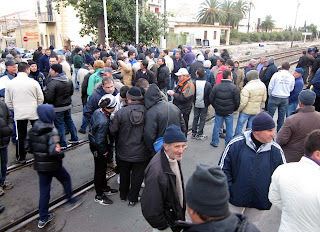 In the town of Santa Flavia, which is 20 km (about 12 miles) from Palermo, a near-tragedy was avoided when more than 200 fishermen, accompanied by their wives and children, blocked the railroad tracks just before a scheduled train was to pass. The town’s mayor, Antonio Napoli, said, “These people are desperate because, due to European Union regulations, they are no longer able to fish. The cost of diesel has also increased from 30 to 80 [euro] cents per litre in three years,” according to Corriere Della Sera, one of Italy’s main newspapers.